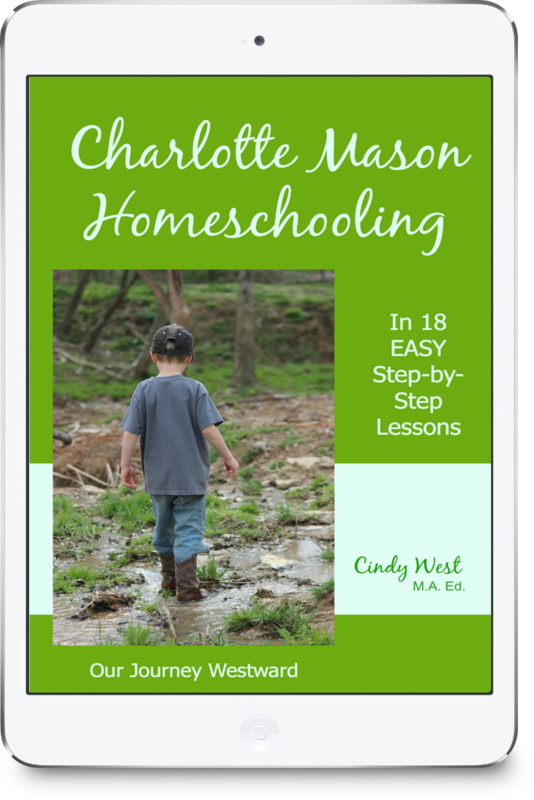 The Charlotte Mason homeschooling method encourages curiosity, enthusiasm and excellence learning…and in life. This book guides you step-by-step through implementing Charlotte Mason’s methods in your home. Charlotte Mason homeschooling can be such a blessing! Would you like to teach your children in ways that encourage curiosity and enthusiasm, while at the same time expecting excellence in many areas, even more areas than most curricula expect? Charlotte Mason’s philosophies and principles are still fresh today and can help homeschoolers who use them to raise bright, resourceful children! In this 18-week, practical, easy-to-understand, easy-to-implement course, you’ll get all the basics for adding Charlotte Mason’s methods to your homeschool. Each week, I’ll walk you through one new Charlotte Mason method and teach you how to easily incorporate it into your homeschool, no matter the ages of your children. At the end of each very simple lesson, you’ll find a ‘homework’ suggestion to help you get that week’s subject up and running in your homeschool. 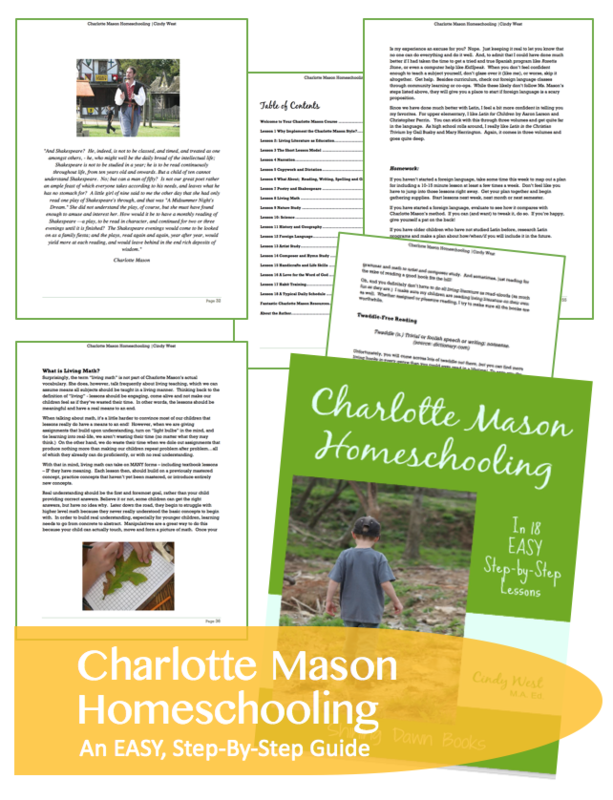 In only one semester you will have implemented the Charlotte Mason homeschooling style! Adding a little here and a little there ensures a comfortable and confident transition for both you and your students. What are you waiting for? It’s easy! It’s painless! 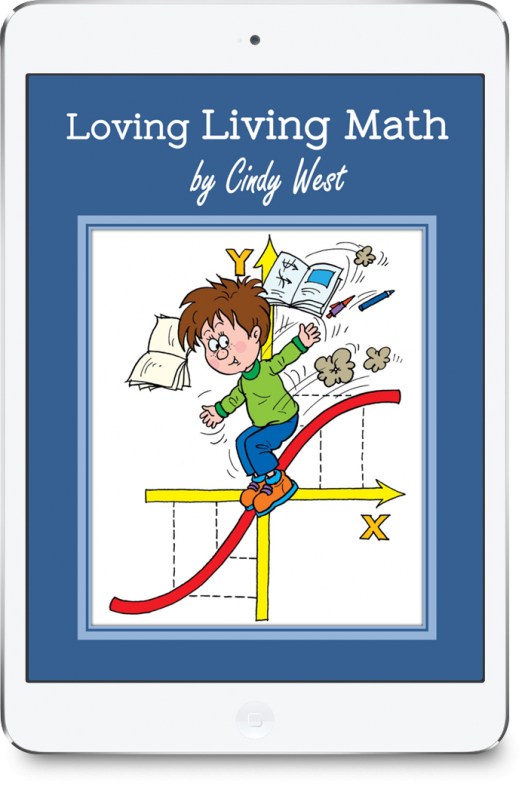 And by the end, you and your children will be enjoying the best ever homeschooling method! 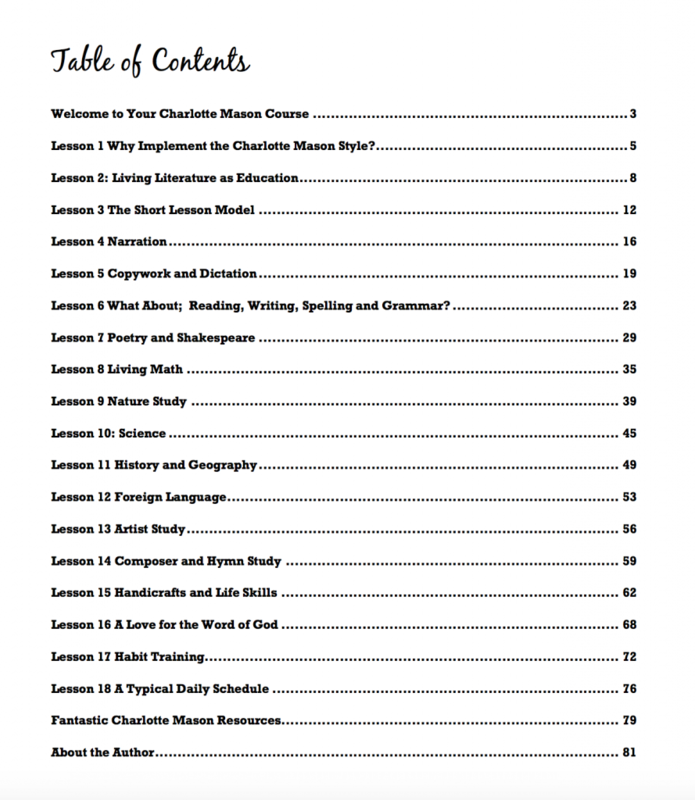 Are there other Charlotte Mason resources that are more detailed? Absolutely. Is this course exhaustive? No. Then…why should you consider purchasing? Good question. Charlotte Mason’s own writings can be a tad intimidating. Not to mention, they are extensive and can take some time to read. I would suggest that parents who are serious about Charlotte Mason homeschooling should read through her books at least once. However, many homeschoolers want (or need) to get their homeschool up and running quickly – and reading through Mason’s books aren’t practical for their time frame. Additionally, it takes quite a lot of concentration to soak in Mason’s own teaching. Again, many homeschoolers don’t have the time to sort through it all. In Charlotte Mason Homeschooling in 18 Easy Lessons, I’ve tried to use the simplest language possible to make it quick and easy to understand the method to save you time and effort. By providing practical training that won’t take you much time at all to grasp and implement, I’m hoping to get your Charlotte Mason homeschool on track quickly. 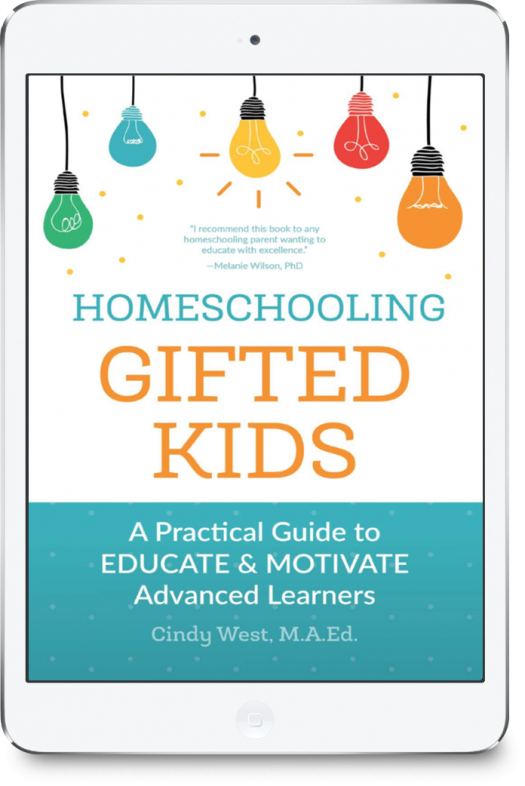 Whether you’re new to the idea of homeschooling the CM way or simply need to tweak a few pieces and parts, this book is for you! Once you have the basics running smoothly, you can dive in to some of the meatier Charlotte Mason resources if you like. They won’t be imperative, though!